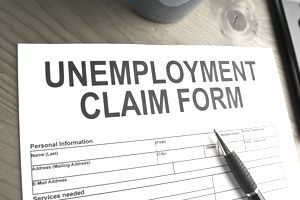 Before getting into the questions, unemployment taxes are paid by employers to the federal government and states in order to fund unemployment compensation benefits for out-of-work employees. Employers are taxed based on their type of business; the higher the unemployment rate in that type of business, the higher the tax. For example, a fast food restaurant with high turnover would be taxed at a higher rate than a medical office with low turnover. How Much Must I Pay for Unemployment Taxes? For 2015, the FUTA tax rate is 6.0 percent. The tax applies to the first $7,000 you pay to each employee as wages during the year. The $7,000 is the federal wage base. Your state wage base may be different. FUTA tax is not paid on wages over $7,000 in a calendar year. You had one or more employees for at least some part of a day in any 20 or more different weeks in the year. How Do the Federal and State Unemployment Tax Systems Work Together? Generally, you can take a credit against your FUTA tax for amounts you paid into state unemployment funds. The credit may be as much as 5.4 percent of FUTA taxable wages. If you are entitled to the maximum 5.4 percent credit, the FUTA tax rate after credit is 0.6 percent. You are entitled to the maximum credit if you paid your state unemployment taxes in full, on time, and on all the same wages as are subject to FUTA tax. If your state has not paid the full amount it owes to the FUTA fund, your credit may be reduced. The IRS has a list of credit reduction states and credit reduction amounts. How Does State Unemployment Tax Affect My Payments as an Employer? The IRS has an Unemployment Tax Trust Fund to pay the costs of administering the federal and state unemployment taxes. Some states borrow from this trust fund, and some of those states don't repay the loans. If a state doesn't repay within two years, employers in the state may be required to pay additional unemployment tax. The 5.4 percent credit for state FUTA tax may be reduced by 0.3 percent each year. So, for the first year, your credit would be only 5.1 percent and your total FUTA tax rate would be 6.3 percent instead of the typical 6 percent. Check with your state's unemployment bureau to see if you are in a state with reduced credits. This list changes every year. How Do I Calculate FUTA Taxes? For each payroll, you must determine FUTA taxes payable based on the total gross wages paid to employees, up to $7,000 per employee. Then multiply this total by the FUTA tax rate (.06 percent currently). At the end of each year, you must complete Form 940. The form asks you to calculate the total you owe for the previous year and the amount you have already paid. You must submit the balance to the IRS, along with Form 940, by January 31. How Do I Pay Federal Unemployment (FUTA) Taxes? FUTA taxes are paid quarterly, for quarters in which you have $500 or more in tax liability, based on the amounts you have set aside from payroll. So, if your unpaid FUTA tax for any quarter is over $500, you must make a deposit of that unpaid amount by the last day of the month after the end of the quarter, which means April 30, July 31, October 31, and January 31. If your unpaid FUTA tax is $500 or less, carry it to the next quarter; a deposit is not required. First, you must calculate FUTA taxes for each payroll. Then, in any quarter in which your total FUTA tax liability is over $500, you must send in a deposit. Beginning in 2011, all tax deposits must be made using EFTPS (federal tax deposit system. Read more about EFTPS, including how to register and make payments. At the end of every year, you must pay any FUTA amount due from the previous year, when you file the annual unemployment tax report on Form 940. How Do I Get Started Paying and Reporting Unemployment Taxes? When you start a new business, you must designate an expected number of employees on your employer ID application. This provides information to the IRS and your state that you have an obligation to pay and report unemployment taxes, and they will probably contact you. If you are not contacted, or if you decide at some later point to hire your first employee, you can get the process started by yourself. You can register with your state (see below) and contact the IRS to start paying unemployment insurance. How Do I Find Out About State Unemployment Taxes? Each state has a separate program for providing unemployment compensation benefits to workers and for funding those benefits. States usually set up funds into which the taxes are paid. Here is a list of state employment agencies from the Department of Labor.